Smarts are coming to everything, consumers are now familiar with smart phones, smart cars, and smart homes. 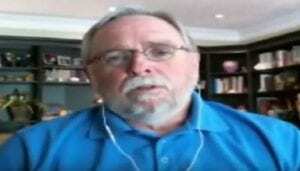 What about the segment of buildings and infrastructure? Buildings can be considered our “second skin” since we spend about 80% of our lives in them. Up till recently, buildings were considered a depreciating asset, but is it possible that buildings of the future will be a strategic asset; that they will operate in an intelligent way and be productive and monetizable assets for facility managers and real estate owners? Is it possible that the traditionally conservative and risk-averse building and construction industry would leverage the latest technologies such as the Internet-of-Things (IoT), Big data, Cloud computing, Data analytics, Deep learning, and Artificial Intelligence for the benefits of saving energy, reducing operational expenditures, increasing occupancy comfort, and most important – meeting increasingly stringent global regulations and sustainability standards? 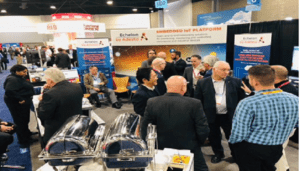 These were some questions I was attempting to get answered at AHR Expo 2019 – one of the world’s largest HVAC conferences at the Georgia World Congress Center. 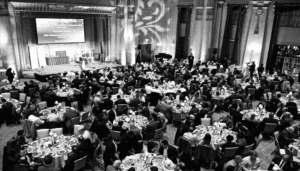 This annual event enables leaders in the industry to network, share best practices, and get up to speed on the latest equipment and solutions. This year’s Expo drew more than 65,000 attendees and 1800 exhibitors – with almost 500 of them international exhibitors from 35 countries. The continuing trend is towards energy reduction, de-carbonization, and lowering GHG emissions; I noticed an increasing number of companies working on IoT connected nodes, devices, and gateways that will offer intelligence about the building’s operations, and especially its energy envelope. 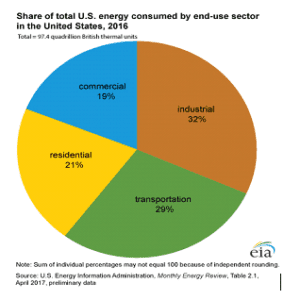 According to the U.S. Energy Information Administration, commercial buildings as a sector consume as much as 19% of total energy consumption; this equates to almost 19 quadrillion BTUs. If we look towards Europe, the numbers look very similar: commercial + residential buildings are responsible for 40% of total energy consumption, and 36% of CO2 emissions. Currently about 35% of the EU’s buildings are over 50 years old and almost 75% of the building stock is energy-inefficient. Only 0.4% to 1.2% (depending on country) of EU building stock is renovated each year; thus it is imperative to enable fast and easy deployment building automation technologies in order to move the needle on energy consumption and CO2 emissions. Another clear trend clear at AHR was digitalization; everything that can be sensed and measured – air pressure, humidity, light, motion, presence, temperature – can be used to make adjustments to reduce energy consumption and to better suit occupant preferences. Unlimited Cloud computing and storage accessible not just to large companies but also to small startups is changing the rate of innovation in the built environment. Buildings that currently do not have a building automation system, could skip that step altogether and take their business direct to the Cloud. The advantage of Cloud computing is that, automation can be performed in a holistic manner using a consistent set of algorithms, tools, and dashboards on a portfolio of different properties belonging to the same landlord or real-estate firm. Though Cloud computing is well-known in the industry, Edge computing is not as well known. Edge computing refers to the processing and analytics running on an “edge” device such as a gateway or server, or sometimes in the sensor module itself; it is the demarcation point between the IoT nodes in the building and the Cloud or company’s data center. The advantage is that any data sent to the Cloud can be a smaller subset of the computations, or a summary of the analytics. This consumes lower network bandwidth, and end-to-end latencies are lower which obviously leads to faster response times. Gateways can range from as basic as a Raspberry Pi board to powerful servers that are capable of high computations, complex analytics, and the ability to handle large numbers of endpoints and withstand extremes of temperature and vibration. There are considerable concerns about security with the advent of IoT as the number of connected devices increase, the flow of data inside buildings becomes more complex and the Operational and IT networks of a building start to converge. Edge computing – by keeping information local, better preserves the privacy and security of building and occupant data. With these thoughts at the back of my mind, I happened to stumble onto Echelon’s, now part of Adesto Technologies, booth at AHR. The aroma of Beef Wellington puffs and Chicken skewers with Mango salsa wafting from their booth probably helped guide me in their direction. The company has for the last 30 years been developing open-standard control networking platforms necessary to monitor communities of devices, and is currently embedded in more than 140 million devices, 35 million homes, and 300,000 buildings worldwide. Adesto’s focus today is to enable device makers to bring connected products to market via a range of IoT-optimized embedded systems, and embrace the market’s shift from individual components to all-encompassing systems in the building – and extending to smart campuses and cities. The company’s SmartServer IoT is a good example of what we discussed earlier about Edge computing. It is an open, programmable edge server and field controller for commercial buildings with APIs based on IoT Access Protocol that can communicate data from building controllers, meters and sensors to web services and the Cloud. 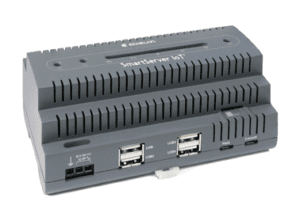 This can be done securely and efficiently without needing special ports to be opened through a building firewall. The product can work with BACnet, LonWorks, and Modbus building automation protocols – as well as with building management systems, remote clients, and cloud applications from any vendor. Keeping in mind what I brought up about de-carbonization – Adesto has a collaboration with IBM in order to offer a predictive energy management solution for building managers through Artificial Intelligence algorithms and analytics running on IBM’s Watson IoT platform. 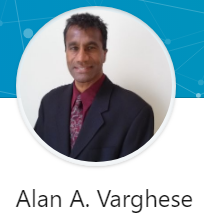 The AHR Expo made me reminisce a bit; my education was in electrical engineering and digital signal processing, and I have spent the last 25 years in the fields of Wireless, Semiconductors, Broadband, and Automotive. My dad in contrast was a mechanical engineer and for 45 years worked in the fields of HVAC – right from the early days when pneumatic controllers were used for thermostats and valves. In the past when he would talk about boilers, chillers, compressors, expansion valves – I would try to hide a yawn and think mechanical engineering was somewhat uncool compared to electrical engineering, and I am so glad I chose the “right” engineering discipline. I have to admit that the products and technologies I saw over the three days at AHR Expo 2019 were all very cool! 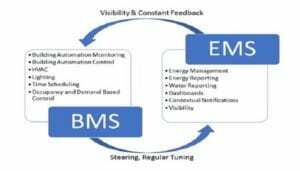 Introduction: This article explores using energy management systems (EMS) combined with building automation systems (BMS) to expose opportunities for improved building performance in commercial, retail, educational, government, healthcare, and office sectors. Combining both EMS and BMS into the one platform breaks down barriers allowing smarter control strategies and contextual alarms to be generated for building operators. Sharing data between these systems removes a “blindfold” from operators and creates visibility and context enabling a continuous feedback loop not previously possible. As a consequence of continuous feedback users are able to tune buildings and gain direct benefits including energy savings and reduced operating expenses. This approach replaces performance degradation with a more productive operator who is in control and driving increasing building performance. The Indirect effects of improved building performance can yield far better economic outcomes than just direct benefits. Indirect benefits for a building owner including; longer plant life, less vacancy, faster lease-up periods, higher tenant retention, improved indoor environmental quality and workforce productivity. These indirect effects can also drive up asset values, further improving the investment economics for a building owner. (Australian Property Institute, 2012; Fisk, 2000; Fisk et. al, 1997). The whole of energy and building automation is greater than the sum of both parts. Problem: For years building systems have consumed energy to keep its occupants comfortable and productive. As a consequence of normal operation, facility managers have faced technical and financial challenges. Managing these challenges to get the right economic outcome has not always been obvious. We know that buildings are designed to architectural and engineering specifications. However once the building is delivered and the occupants begin using their spaces, it’s not uncommon to find out that the buildings are operated in dynamic conditions. To fulfil the building’s intended purpose, facility management has to juggle numerous operating tasks, such as energy expenses and costs related to maintaining their connected systems. Competing demands for attention often cause a slow but continued performance degradation. Heating, Ventilation and Air-conditioning systems (HVAC) are high consumers of the building’s energy resources. A HVAC system’s performance degradation can be likened to a slow leak in tire pressure causing premature wear, poor fuel economy and ultimately resulting in breakdown and unexpected costs. Building Performance: We often see building systems such as EMS, BMS, lighting, security and more that operate as standalone systems, with each as “automated silos” of information. These automated silos result in a lack of insight into how buildings can be utilized at peak efficiency. For example, if a building is unoccupied, the HVAC system is scheduled on and the lighting is left on, we cannot observe the interoperation of systems without sharing information. The result is wasted energy and no information to provide management insight. Systems: BMS systems are not always on the lookout for problems or inefficient operation. When control problems begin to appear they often manifest as poor energy performance. Troubleshooting is made more difficult when the data lacks context. For example, “Chilled water pump mismatch alarm” or “Chilled water pump increased energy consumption alarm” from siloed systems is not contextual or useful. All too often BMS systems with frequent alarms become noise generators. With increased frequency of alarm conditions, technicians are often prone to use manual intervention to remediate symptoms rather than the root cause. Symptom remediation and manual intervention inevitably have a compounding effect over time and cause poor performance. Alarms that lack context exacerbate an already difficult situation for building managers as they are not sure which contractor to call for resolution. To improve building performance, the connected systems need to be dynamic, provide visibility and context in order to drive performance forward. It could be said that operating a building is analogous to driving a car. If the driver has visibility of the road, feedback from gauges and a steering wheel, they will be in full control. Take away the driver’s road visibility or feedback from gauges; they will crash or run out of fuel. Remove the drivers steering wheel, and inevitably the car will crash on the first corner. Why would anyone attempt to operate a building with a BMS system (steering wheel), without an integrated EMS (road visibility and gauges)? Solution: In a building environment we need to make sure that our steering wheel, road visibility, and gauges can communicate with each other. Combining both EMS and BMS into the one platform breaks down barriers between previously siloed systems. Sharing data removes the blindfold and creates visibility and context, enabling a continuous feedback loop for building operators not previously possible. This new-found visibility and context turn what was once darkness and noise, into easily digestible and manageable chunks of actionable information. For example, what was previously “Chilled water pump mismatch alarm” or “Chilled water pump increased energy consumption alarm” from siloed systems, is now “Chilled water pump operating outside of normal hours without after-hours call from tenant. This has added an additional 30 kWh of energy consumption. The most likely cause is the pump overridden manually. 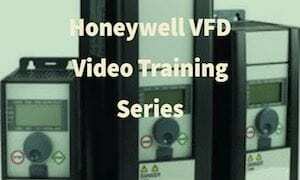 Select Auto on pump or call building automation technician”. Now an automation problem manifesting as poor energy performance has been made visible, has context, and is now actionable in real time. The operator is now empowered and can quickly self-remedy or call the correct contractor to resolve the issue saving energy and hours of wasted investigation time. With this approach, we have now replaced performance degradation with a more productive operator who is in control and driving increasing building performance. With visibility and control combined, improving building performance is like pulling a car out of stop/start traffic onto the open highway. As the car comes up to a constant speed, fuel consumption improves, and there is less wear and tear on brakes and tires. Similarly, improving building performance is like breaking away from a stop/start unstable environment towards harmonious stability. As the building becomes more stable at a constant speed, only minor corrections from the operator are required. Downtime, energy costs, and operating costs begin to decrease as a result of more stable operations. Furthermore, reduced wear and tear on plant equipment increases usable life cycle and decreases capital expenditure on replacement plant equipment. Less vacancy, faster lease-up periods, higher tenant retention, improved indoor environment quality and workforce productivity can be indirect benefits of increasing building performance. These indirect effects can also drive up asset values, making investment economics for a building owner much more favourable (Australian Property Institute, 2012; Fisk, 2000; Fisk et. al, 1997). In Australia, the energy performance of office buildings is measured by an energy star rating scheme called NABERS (National Australian Built Environment Rating Scheme). A report published by the Australian Property Institute (2012) quantifies higher office building asset values, reduced vacancy, reduced operating expenses and increased rents due to increased energy efficiency star rating performance. With this in mind, it can be said that the whole of energy and building automation is greater than the sum of both parts, making a strong case for the economics of a combined solution. It is worth noting that taking a combined approach has another indirect benefit for both building owners and contractors. The building owner receives the benefits of a cheaper bundled solution through shared delivery resources. There becomes one contractor and one source of truth for the delivery of a combined EMS and BMS solution giving the owner a means to hold the contractor accountable for the delivery of a poor performing building. For contractors, taking on more scope enables them to move up the ‘value chain,’ win more work directly with the building owners and ultimately, grow their businesses. To make this strategy work, there needs to be a way for contractors to easily take more scope and deliver it in-house at a lower price than competitors. Consolidating EMS and BMS tools into a single platform helps streamline project delivery and enables contractors to deliver an integrated high performing building to the end user. Here’s how Optergy do it: Optergy is a technology company dedicated to improving the business of managing facilities and providing tools to improve efficiency, performance, and processes. From the simplest building to the largest enterprise, Optergy provide the steering wheel, visibility and gauges required to enable everyday building operators to drive high-performance buildings. Optergy is a provider of brand agnostic software that can be installed in a new building or can coexist with legacy building systems including TRIDIUM, Honeywell, Alerton, Siemens, Delta, Trend, TRANE, Automated Logic, DEOS, Reliable, Schneider, Airtek, KMC, Beckhoff, ABB, Danfoss and most electricity, gas, water and thermal energy meter types available on the market. 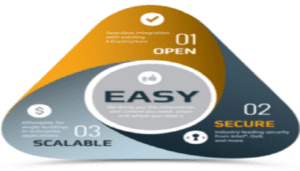 The software is multi-vendor with a global partner network, has no subscription fees and free software updates with feature additions and improvements. Visit us now at http://optergy.com. Top Ryde City is a retail shopping center in Sydney Australia. It was originally built in 1957 and was the second open air shopping center in Australia. Showing its age, the center underwent an $800m redevelopment and was reopened by the Prime Minister in November 2009. Due to weak consumer spending and the building’s poor performance causing high costs for tenants, many tenants chose to leave the center. Subsequently, only 12 months after re-opening the previous owner was forced to sell the newly redeveloped shopping center for $341m ($459m loss) to the international property group Blackstone. Blackstone specializes in buying quality investments at discounts to replacement costs then improve the properties through hands-on management and targeted value-add initiatives. Poor performance was identified as a significant cause of high operating expenses. This highlighted the need to tune up the BMS system and significantly reduce the amount of money spent on energy and maintenance. To enable building tuning and a constant feedback loop for building operators, over 160 sub-meters were connected to the building’s automation system. In this building the automation system controls over 70% of the energy loads, making it the most logical place to provide the operators visibility and gauges to put them firmly in the driver’s seat. Combining both the EMS and BMS has enabled the operations and maintenance team to tune up the building and implement clever occupancy based strategies in conjunction with energy demand management. Since implementation, through continuous feedback and tuning the center has seen direct benefits including a cumulative reduction of 4,296 MWh (12.91%) resulting in over $2.2 million of energy savings from the 2014 baseline. A staggering result delivered by an amazing team equipped with the right tools. According to advisory firm McgrathNicol, annual net operating income increased from $18 million to $24 million over an 18-month period due to the attraction of premium tenants and increased asset performance. Blackstone now have their Australian portfolio for sale and expecting record profits. Conclusion: Control Solutions, Inc It is essential to make sure the steering wheel, road visibility, and gauges can communicate with each other in the built environment. Combining both EMS and BMS into the one platform breaks down barriers between previously siloed systems. Sharing data removes the blindfold and creates visibility and context enabling a continuous feedback loop for building operators not previously possible. Automation problems manifesting as poor energy performance can be made visible, be given context and are made actionable in real time. Empowering building operators to quickly self-remedy or call the correct contractor to resolve an issue, saves energy and hours of wasted investigation time. This approach replaces performance degradation with a more productive operator who is in control and driving increasing building performance. Energy savings, longer plant life cycles, and less operational expense are direct benefits. Less vacancy, faster lease-up periods, higher tenant retention, improved indoor environment quality and workforce productivity can be indirect benefits of increasing building performance. These indirect effects can also drive up asset values making investment economics for a building owner much more favourable (Australian Property Institute, 2012; Fisk, 2000; Fisk et. al, 1997). This combined approach provides a lower total installed cost and enables building owners to hold the contractor responsible for the delivery of a poor performing building. Bannister, P (2017). Metering: A practitioner’s perspective. [Powerpoint presentation]. Available at: http://www.cibse.org/getmedia/f82bf2ce-57d1-4fd1-ae37-94d0051828cf/CIBSE-Seminar-Paul-Bannister-pptx.pdf.aspx. [Accessed 10th July 2017]. Blackstone, (2017). Who we are [Online] Available at: https://www.blackstone.com/the-firm/asset-management/real-estate. [Accessed 18th July 2017]. Darby, S. (2006). The effectiveness of feedback on energy consumption. Environmental Change Institute University of Oxford. Darby, S. (2006). Making it obvious: designing feedback into energy consumption. Environmental Change Institute University of Oxford. Fisk, W. (2000). Health and productivity gains from better indoor environments and their relationship with building energy efficiency. Energy Environ, 25:537–66. Fisk, W. et al (1997). Estimates of improved productivity and health from better indoor environments. Indoor Air, 7:158-172. IPD Australia Green Investment Property Index (2013). Headline Results. McGrathNicol, (2017). Top Ryde Shopping center [Online] Available at : http://www.mcgrathnicol.com/case-studies/top-ryde-city-shopping-center-2/. [Accessed 19th July 2017]. Newell, G. et al (2012). Building better returns. Australian Property Institute. [Online] Available at: http://www.api.org.au/assets/media_library/000/000/219/original.pdf. [Accessed 20th July 2017]. Roth, K et. al (2005). Energy impact of commercial building controls and performance diagnostics: market characterization, energy impact of building faults and energy savings potential. TIAX LLC, Cambridge, [Online] Available at: http://s3.amazonaws.com/zanran_storage/www.tiaxllc.com/ContentPages/42428345.pdf. [Accessed 20th July 2017]. The Property Council/IPD Australia Green Investment Property Index (2015). Green Snapshot Flyer. Vanda, C (2012). Top Ryde City shopping center sold for rock-bottom price. The Daily Telegraph. [Online] Available at: http://www.dailytelegraph.com.au/realestate/top-ryde-center-sold-for-rock-bottom-price/news-story/3a4515114d3fe0140aa97394a149bbfc?sv=4e5e26230d5986bd9da0f4d6ee247b76. [Accessed 18th July 2017]. ControlTalk Now The Smart Buildings Podcast enjoys a summer hiatus — as Eric and family attend a wedding in Birmingham (Detroit) MI. ControlTrends still offers a great interview with Bueno Systems’ Leon Wurfel; an overview of ANT Technologies’ paperless solutions; JCI’s video “Tomorrow Needs You;” and Therese Sullivan’s insights into contextualization. Next week, ControlTalk NOW will be back on track — with two very special guests, along with Ken Sinclair’s August edition of AutomatedBuildings.Com, as well as the latest on our industry’s products, solutions, and most importantly, the men and women superstars of HVAC and Building Automation. Using Data to Create Optimized Buildings: Catching up with Bueno Systems. 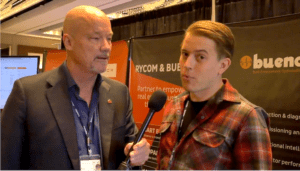 I had a chance to catch up with Leon Wurfel managing director, Bueno Systems, at the 2017 RealComm/IBcon conference. Leon and his team are masters at gathering and using data to optimize smart buildings performance. In this video Leon shares his knowledge about smart building control and Bueno’s approach to making data actionable. 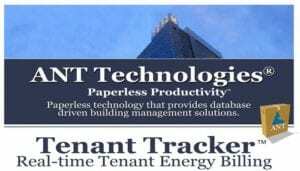 ANT Technologies — Manage Projects • Service Facilities • Tenant Energy Billing — Look Mom, No Paper. ANT Technologies — Paperless, cloud-based, operational technology for HVAC & Control Contractors. A Project Status Report you can trust! As an integrator or contractor, you’ve probably received unreliable progression reports on your company’s projects. Project Tracker™ eliminates the guess work and provides managers with real-time accurate data that ensures you make the best decisions possible. 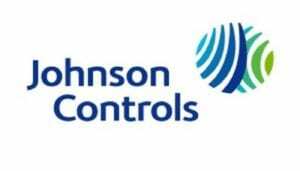 Johnson Controls — Tomorrow Needs You. At Johnson Controls, we’re shaping the future to create a world that’s safe, comfortable and sustainable. Our global team creates innovative, integrated solutions to make cities more connected, buildings more intelligent and vehicles more efficient. We are passionate about improving the way the world lives, works and plays. The future requires bold ideas, an entrepreneurial mind-set and collaboration across boundaries. Therese Sullivan: Back to the Future of Contextualization. Our ControlTalk NOW chief technologist from Silicon Valley, Therese Sullivan, owner and editor of BuildingContext.me, recently brought the ControlTrends Community on-line with the concept of contextualization. This is a re-posting of Therese’s December 2013, prescient article foreshadowing the driving forces and impact of contextualization. Last month I felt secure in describing Nest as a company comfortably traveling along in Apple’s orbit. 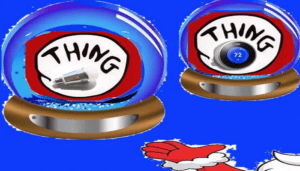 I even linked to Matt Turck’s November TechCrunch article “Battle for the Connected Home”, wherein he suggests that Nest — a Lilliputian among Gullivers — needed to be acquired by Apple before it was crushed. Today we see that he was off by a few Silicon Valley miles. Why Google? Why now? Why $3.2B? 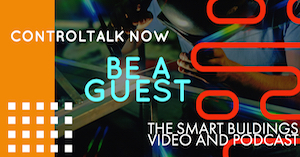 Episode 221: ControlTalk NOW — Smart Buildings VideoCast|PodCast for week ending Apr 16, 2017 features an interview with one of the most venerated experts in the Building Automation Industry, Leroy Walden, President and Chief Consultant Highrose Consultants, LLC. Updated Ken’s Calendar details upcoming training, webinars, and major industry events; more 2016 ControlTrends Awards video highlights; new DLP pressure sensor from ACI; EasyIO’s Mike Marston and Lim Hoon Chiat discuss new product release and the upcoming EasyIO Global Conference. 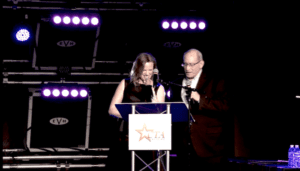 2016 ControlTrends Awards Highlight: The PID Award. 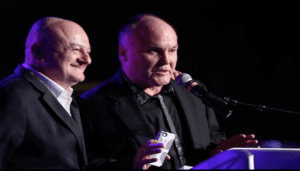 Join all the excitement, and I do mean EXCITEMENT, as the most exciting man in the smart buildings controls industry Roger Rebennack and Mike Marston from EasyIO (both former recipients of the PID Award) light up the crowd and announce this year’s PID Award winners. 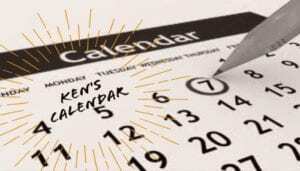 ControlTrends Keeps an Eye on 2017 Events with Ken’s Calendar. While it has been an amazingly busy and productive year so far, many more events are on the horizon. ControlTrends will continue to post the event information as we receive notice or become aware of the event. Please note that the information is gathered from various sources, and the times, dates, and locations may have changed. Be sure to visit the appropriate website or contact the event coordinator to ensure the most up-to-date information. Our interview this week is with Leroy Walden, LEED AP, President and Chief Consultant Highrose Consultants, who has worked in the Building Controls and Automation industry since 1978, beginning with Robertshaw Controls as an Applications Engineer. Leroy recently retired from a leading systems integration firm to pursue his passion for tracking the growing uses of technology in sustainable building operations. Listen in, as Leroy brings specific insights to smart devices and equipment and how open-source integration platforms will transform building maintenance in the coming decades. Contact Leroy ASAP (lcwalden256@gmail.com) — to take advantage of Leroy’s $100.00 discount for the 2017 Realcomm|IBcon Conference June 13th-15th in San Diego, CA. 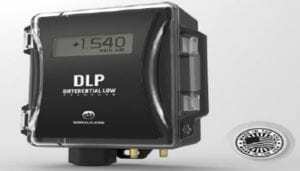 ACI’s Differential Low Pressure Sensor has Arrived — The DLP is Available Now! ACI is combining all the best features from multiple products to create an all-encompassing differential pressure option that should make a huge impact! Every aspect of this product was analyzed and designed to maximize the value it will present to you! Connexx Energy to Participate in US Department of Commerce International Trade Administration Smart Technologies Mission to Hong Kong and Taiwan. Lee’s Summit, Missouri, April 5, 2017: Connexx Energy (www.connexxenergy.com), a recognized developer and implementer of smart building, energy and IoT data management and visualization solutions, announced today that it will be participating in the Smart Technologies Business Development Mission to Hong Kong and Taiwan being organized by the United States Department of Commerce, International Trade Administration. EasyIO’s Mike Marston and Lim Hoon Chiat Discuss the FW Wireless Controller “That Will Change the World!” This is the first video of a series from EasyIO’s Mike Marston and Lim Hoon Chiat, who share their visions of the FW Series wireless controllers — that they believe will change the world of Building Automation. Lim cites how WiFi, the defacto protocol for wireless networking, has been around for over 20 years, and because it’s so pervasive and each generation is inherently compatible, it’s ideally suited for the HVAC and Building Automation industry. EasyIO’s Mike and Lim Preview Next-Gen Smart Sensors and Introduce the Early Guns Education & Learning Program. EasyIO’s Mike Marston and Lim Hoon Chiat continue their discussion on the differences and nuances between M2M and IOT, smart sensors and edge devices, and the impact that wireless will have on the future of HVAC and Building Automation. Also, Lim’s amazing insight into programming starter kits and educational programs to kick start our next generation of system integrators and HVAC technicians. Let’s Go to England: Last Chance for Discount to EASY IO. Manchester (UK) May 21–23, 2017. 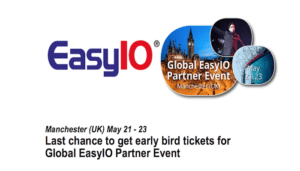 This EasyIO Global Partner Event will unveil and officially release awesome new EasyIO products and features to further enhance building and energy solutions for all types of buildings. We’re gonna reveal all the secrets of our five(!) new controllers that are coming up: the WiFi controllers FW-14 and FW-8, the WiFi VAV controller FW-8V, the powerful FS-32 and the FR-02. Register Here! Haystack Connect 2017 Update! Keynote Speakers & Technical Program & The IBB is Getting Back Together! 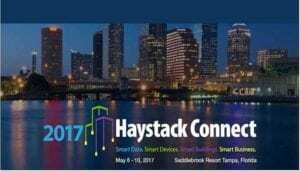 Make your reservations for Haystack Connect 2017! There are, technically, a lot of reasons to attend Haystack Connect 2017. Now, we added some fun ones! See below. Register Today! 3-Day Technical Conference at the Saddlebrook Resort Tampa: See the very latest software and hardware solutions for the Building Industry exhibited in the Vendor Showcase. Meet and network with leading experts in our industry that are implementing real solutions that combine diverse devices, systems, data and protocols. LIGHTFAIR 2017 PHILADELPHIA — PRE-CONFERENCE MAY 7-8, TRADE SHOW & CONFERENCE MAY 9-11. Trade Show + Conference + Networking = See It All. 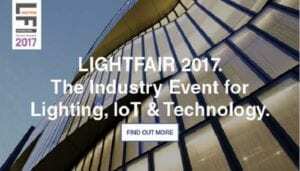 LIGHTFAIR 2017. The world’s leading manufacturers will be showcasing their latest products in IoT (Internet of Things), intelligent lighting, LEDs, decorative lighting, daylighting, exterior lighting and more. Experts from around the world will be leading courses on the forward thinking topics in lighting design and technology. DDC Training with the BAScontrol22: For Colleges and Training Centers Interested in Providing Direct Digital Control (DDC) System Training. April 2017 – For colleges and training centers interested in providing Direct Digital Control (DDC) system training, Contemporary Controls recommends using the BAScontrol22 unitary controller and the free Sedona Application Editor (SAE). The BAScontrol22 is an ideal controller for training technicians on programming DDCs and use of unitary building automation controllers. Increasing Efficiency for Better Business — New Siemens Website Launches Next Week! Mark your calendar for next week. 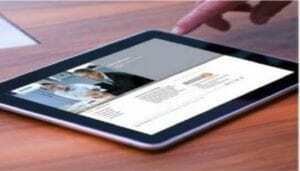 That’s when the new Siemens partner’s website will launch! The new site will replace the Vantage, Beacon and Infolink sites which you may have used in the past. By the end of next week, all links will take you directly to the new site. What can you expect? 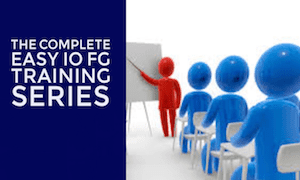 A product-centric site that is organized around the products you sell and the information you need to succeed; Updated content and a systematic approach to managing important assets; and Account registration that has self-service capabilities. 2016 ControlTrends Most Impactful Video of the Year — Who is ACI? The Story of Automation Components, Inc. Automation Components, Inc. (ACI) creates, manufactures, and distributes building automation sensors for the heating, ventilation, and air conditioning (HVAC) Industry. ACI began as a small company in 1991, but has grown by leaps and bounds over the years, establishing itself as an industry leader of quality automation sensors, employing over 160 talented individuals in over 78,000 square feet of state of the art facilities. ACI’s product lines include Temperature Sensors, Relative Humidity Sensors, Current Sensors, Pressure Sensors, Gas Sensors and Wireless Sensors. The staff takes pride in the products they make, while living up to established standards of quality and value. ACI prioritizes its top employees and substantially invests in a competitive benefits package, leading to an incredibly low turnover rate. ACI helps our employees thrive by pairing their individual skill-sets with corresponding job duties. 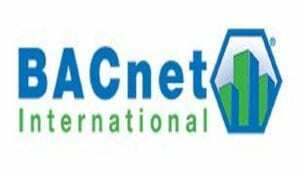 BACnet International is an industry association that facilitates the successful use of the BACnet protocol in building automation and control systems through interoperability testing, educational programs and promotional activities. BACnet International oversees operation of the BACnet Testing Labs (BTL) and maintains a global listing of tested products. The BACnet standard was developed by the American Society of Heating, Refrigerating and Air-Conditioning Engineers (ASHRAE) and has been made publicly available so that manufacturers can create interoperable systems of products. BACnet International complements the work of the ASHRAE standards committee and BACnet-related interest groups around the world. BACnet International members include building owners, consulting engineers and facility managers, as well as companies involved in the design, manufacturing, installation, commissioning and maintenance of control equipment that uses BACnet for communication. 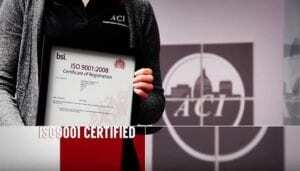 Who should belong to BACnet® International? BACnet® International invites you to join in our mission to encourage the use of BACnet® technology in building automation and control systems through interoperability testing, education programs, and promotional activities. BACnet® International committees welcome the participation of new members looking for ways to contribute to the organization. Opportunities exist in several areas. Click here for more information.